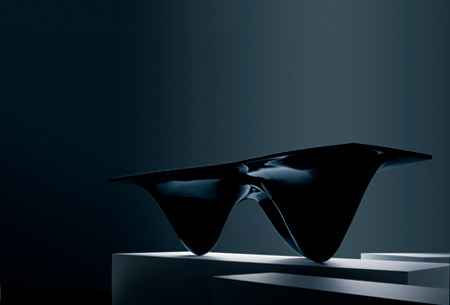 « MAD Architects and Zaha Hadid, without words…. This entry was posted on January 24, 2013 at 8:26 am and is filed under buildings, public buildings with tags Aqua table, eliinbar, Inspiration sketch Gallery, ISG, MAD Architects, National Museum of China, National Museum of China competition entry, sketches, video, Without Words, Zaha Hadid. You can follow any responses to this entry through the RSS 2.0 feed. You can leave a response, or trackback from your own site. Maybe our most important ability is to „borrow” the good ideas and use them. It is just like borrowing words from other languages. I think we wouldn’t be humans without this. This bad behaviour is rooted deep in our genome. In architecture we had for centuries books of know-how, based on Greek and Roman architectural aesthetics. For centuries. We called them the architectural orders, but letțs face it, for hundreds of years we built the same columns, capitels and architraves as some lost master builders from some small city-state. We use the Arabic number system being, in fact a set of Indian notations. But we wouldn’t have mathematics and physics and later electronics and computers and internet. In most of your featured images I think there was more a striking idea that traveled from one architect to the other. Sometimes it is an obsession, sometimes it s not. Sometimes it might be just a poor stealing. The vast amount of information we can access today will definitely shape us on a scale we can t imagine. I think architects will borrow more and more from other rather obscure and far away colleagues than from notable starchitects. Maybe this way the inspiring examples will run in front of your eyes with such velocity that cast in concrete obsessive models will not be possible again, due the speed new ones will challenge them. Next time I will try to be more succint.